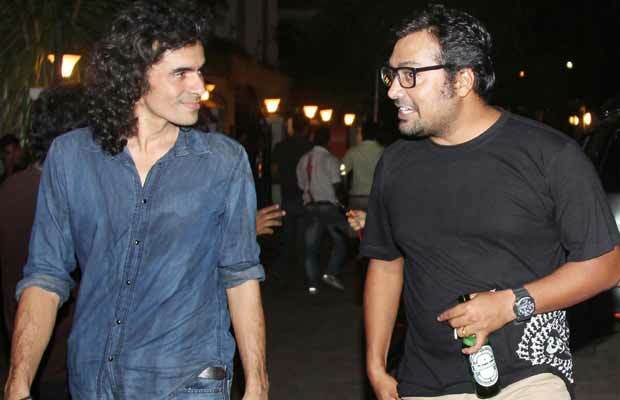 Imtiaz Ali On Anurag Kashyap: He Is A Terrible Human Being And I Hate Him! A new episode of No Filter With Neha with Imtiaz Ali showcases a side of the imitable director that we haven’t heard so far! The Bollywood actress Neha Dhupia has shown her different side with her talk show No Filter With Neha. After Karan Johar’s Koffee With Karan, it is actually her show which is helping in making surprising revelations about our B-town stars. The show has created quite a buzz amongst the audience. It is the second season of the show where celebrities like Varun Dhawan and Parineeti Chopra are going to be seen spilling out some secrets. We have already shared an interesting conversation from the episode with Imtiaz Ali where he announces Ranbir Kapoor as a disaster when it comes to flirting! There’s another one from the same episode where he has talked about another director Anurag Kashyap.